Our driver will pick up your laundry and dry cleaning in the same day. No additional fees. We will collect, wash and deliver your laundry and dry cleaning in 24 hours. 6 kg of laundry - 30° machine wash and tumble dry. 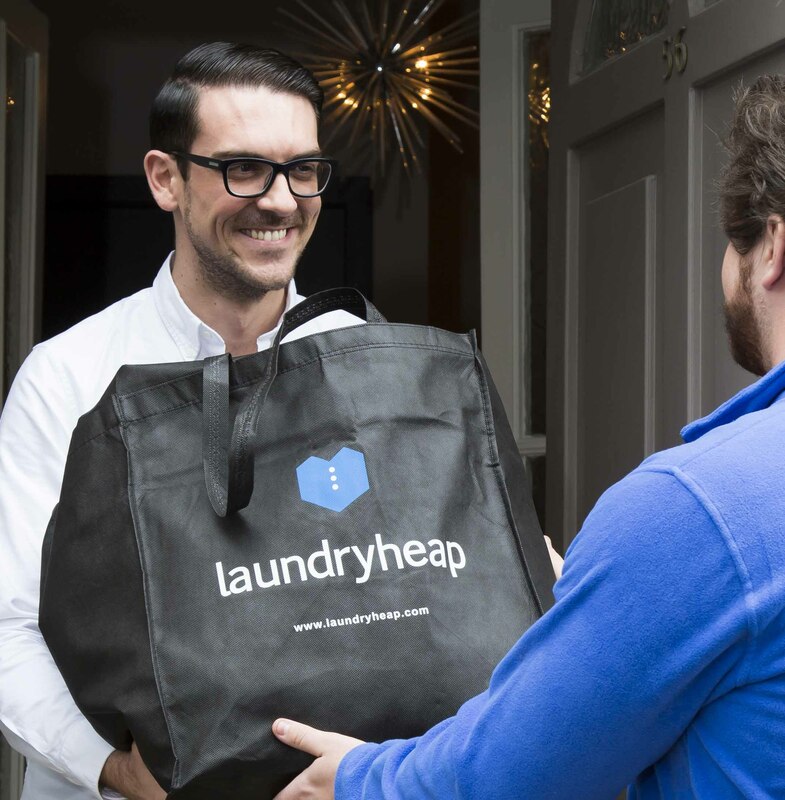 Check out Laundryheap's same-day laundry service. 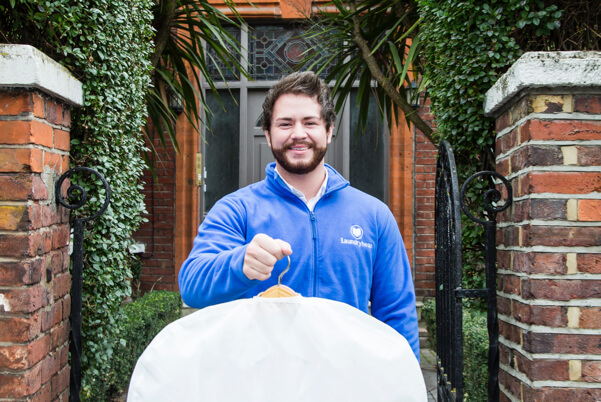 We collect on the day of the booking and deliver your clean clothes for FREE within 24 hours. You never have to worry about not being able to wear your lucky suit for an important meeting or your favourite dress for a special evening. Whether you are on holiday or your washing machine is broken, we have you covered, any day of the week. It's easy and affordable. Our service is tailored for convenience and flexibility. We understand the complexities of contemporary lifestyles and want to make it as easy as possible for you to enjoy some additional free time. Choose collection and delivery times that work for you. 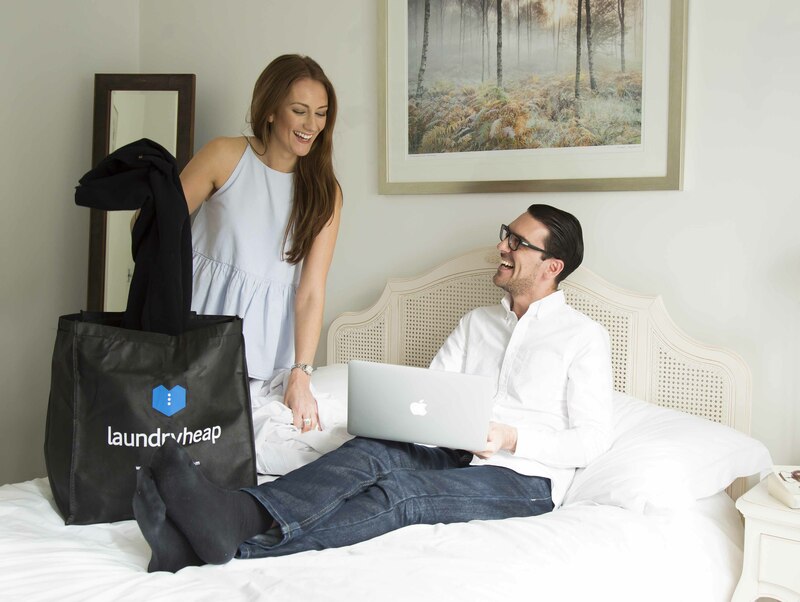 Laundryheap is open seven days a week, from 8 a.m. to 11 p.m. so you can book a collection or delivery as late or as early as you want. We offer laundry, dry cleaning and ironing services. Place an order on our website or mobile app. - Finish you laundry without any effort. We come to you so you don't need to drag heavy laundry bags/baskets around. 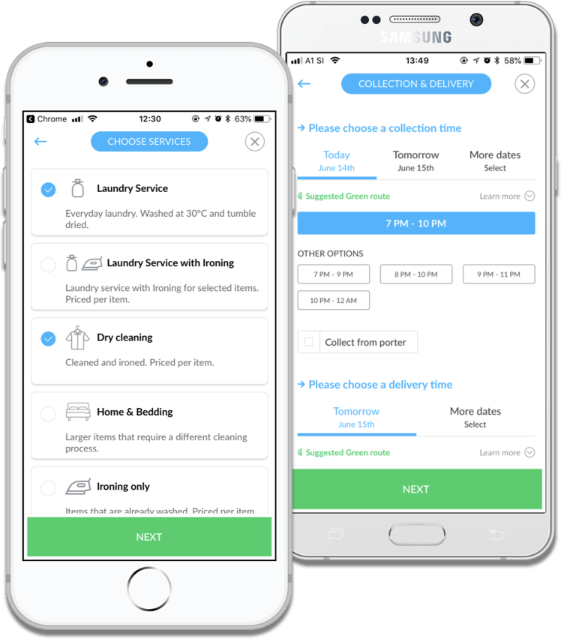 Your fresh laundry will be delivered back to you in 24 hours. In the meantime, the extra hours you save can be used for the important and fun stuff. - Competitve pricing and premium quality wash and fold laundry service. We work hard to make sure that the clothes you get back are spotless and ready for action. - Excellent reviews on Trustpilot. - 'Green Routes' help reduce our carbon footprint. We work with the environment in mind. No harsh chemicals are used.